Q: What car will this rear fog light kit fit in? 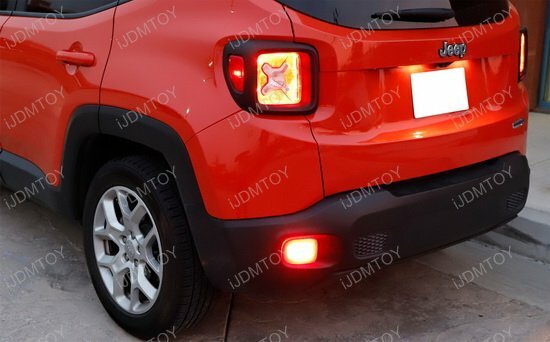 A: The complete set LED rear fog light kit (with high powered red LED bulbs and wiring harnesses) is made to fit the 2015-up Jeep Renegade. Q: What OEM part number does this set of rear LED fog lamps replace? 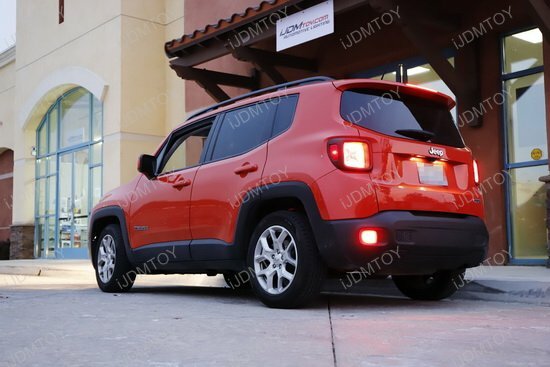 A: This pair of Jeep Renegade rear LED fog lamps replace OEM part numbers 68255513AA and 68255514AA. Q: How does this pair of Jeep fog lights work? 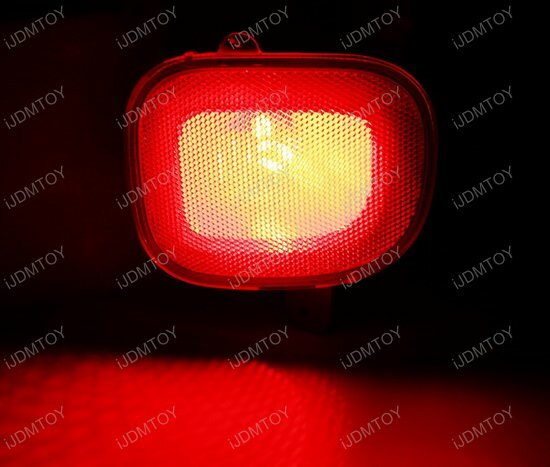 A: The brilliant red rear LED fog lights has three functions. It retains your OEM housings' ability to reflect light, shines as a standard tail light when running at night, and shines brighter as brake lights when you apply your brakes. A: No modifications are required to install this Jeep rear LED fog light set. This LED light is designed exactly as its OEM counterpart to be able to directly fit your vehicle. 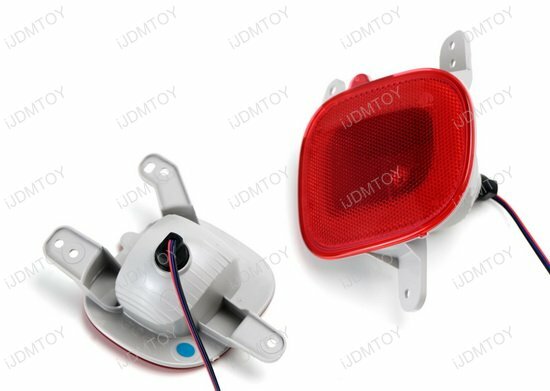 However, simple wiring actions are required to completely install this LED fog light assembly. Q: My LED bulb just stays on bright when I apply my brakes. What do I do if my brake light function isn't working? A: The LED brake light bulb is made to shine from dimmer running light to brighter brake light, not from brighter to dimmer. The tail light (+) wire must be tapped to the tail light harness first before you connect the brake light (+) wire. 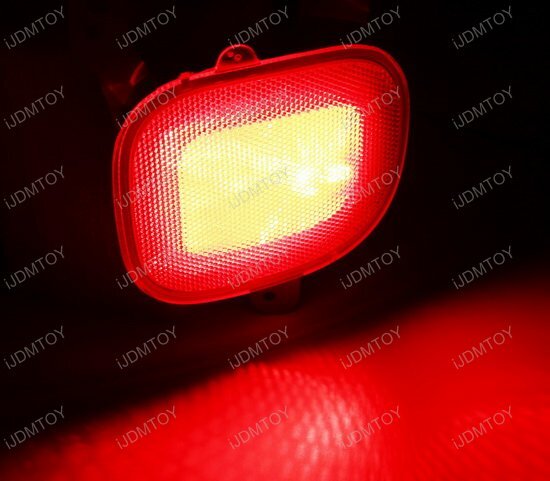 If wired correctly, your LED stop light bulb should run as a dimmer tail light by default and shine brighter as a brake light when you apply your brakes. Skip to the 0:54 mark in the video below to learn how to find out which positive wire does what. 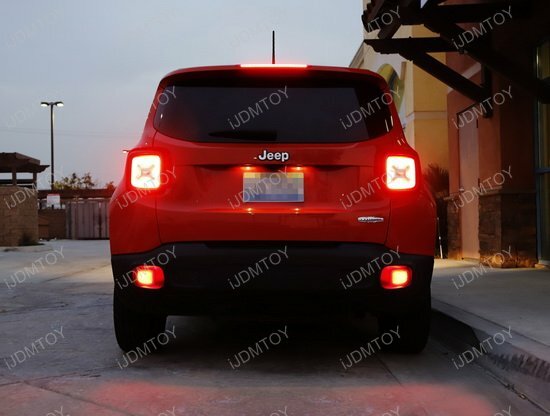 This page features the set of LED rear fog lights with brilliant red LED light bulbs for the 2015 and later Jeep Renegade (Replace OEM Part 68255513AA 68255514AA). Each complete kit includes (2) rear fog lamp housings, (2) brilliant red LED light bulbs, and a pair of relay wiring harnesses. 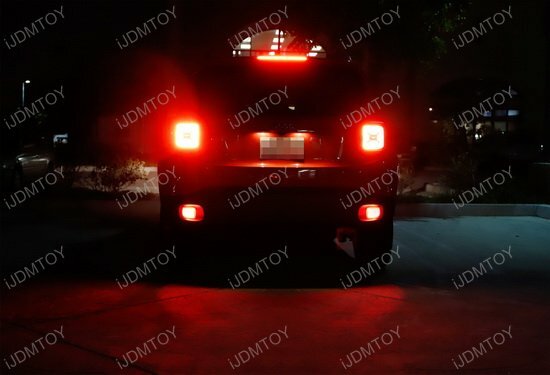 Use this kit to directly replace your stock OEM bumper reflectors and upgrade them to the brilliant red LED fog lights. 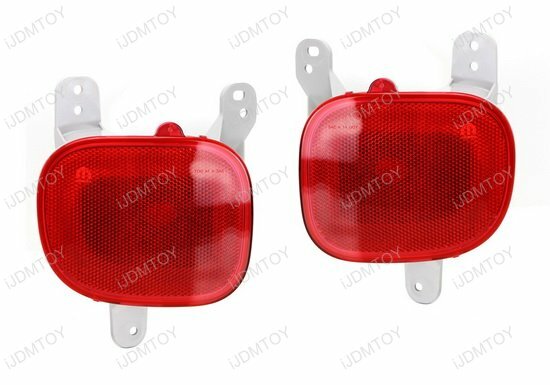 These will not only reflect light, but also act as a standard tail light and brake light! You'll promote road safety by improving your visibility so other drivers can see you and react accordingly. 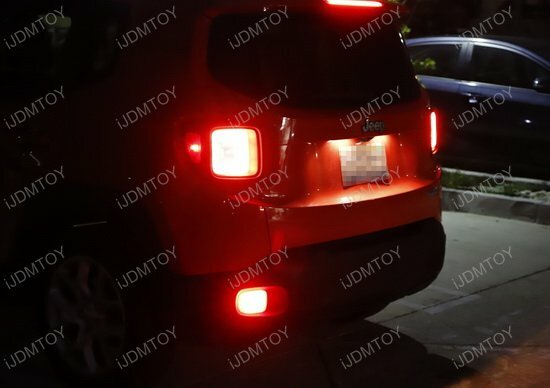 Had these rear LED fog lights on my Jeep Renegade for about 6 months now. No issues. 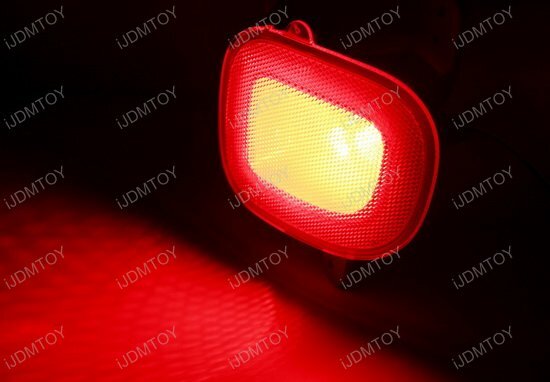 4 functions: parking lights, brake lights, turn signals, and hazard lights.